The BMW M3 gets over 400 horsepower from its standard V8 engine, manual six speed transmission, rear wheel drive system and rear limited slip differential. It earns an estimated city fuel economy rating of 14 miles per gallon. If you’re shopping for an M3, come in and see us at Carson Cars. 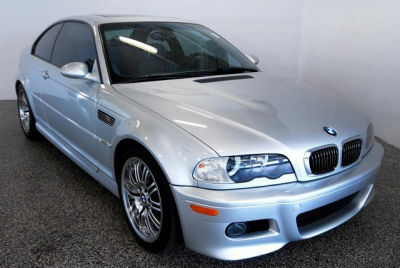 We are proud to offer the best BMW M3 For Sale in Lynnwood. The BMW M3 can be purchased as a coupe or a convertible and each body style has a single trim level. The base trim gets leather and fabric upholstery, adaptive and automatic xenon head lamps, automatic windshield wipers, lumbar supported sport seating with power adjustability, interface for Bluetooth, iPod and USB devices, a CD player, HD radio, and BMW Assist communication. The coupe model gains a rear seat that split folds and a carbon fiber rooftop. The convertible adds power operated front seating with memory capabilities, a power controlled retractable rooftop, and a leather upholstery with sun reflective protection. Optional components on the M3 include heated front seating, power retractable mirrors, self cleaning head lamps, remote entry and start, enhanced leather upholstery, navigation technology, enhanced interior detailing, park sensory in the rear, a sunroof, and an upgraded sound system, high performance tires, and adaptive suspension dampers. The BMW brand has built its reputation on both luxury and safety features. There is a long list of safety components on the BMW M3 which includes side and curtain airbags and airbag deactivation technology, stability and traction control, a remote security system, low tire pressure notification, and a post collision safety system. BMW offers a comprehensive warranty on the M3 that provides a fifty thousand mile or four year drivetrain warranty, a fifty thousand mile or four year basic warranty, and a fifty thousand mile or four year free maintenance program. Visit us today and speak to one of our friendly sales staff about our exceptional BMW M3 For Sale in Lynnwood.